Our world contains tremendous beauty, both in the extraordinary and in the common. In my quest to capture just a bit of what is around and put it on canvas, I have found that my life observation skills have expanded and intensified. This quest for beauty is my quest for life vision. 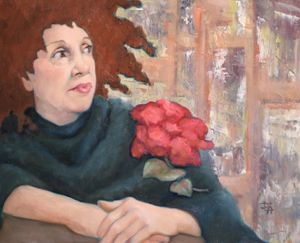 Deborah Allison studied in France with Pariaian artist Alexandra Georeon-Colin for seven years, acquiring detailled studion instruction while working from life. Workshops with Timothy Wells focused on landscape plein-air painting in watercolor. 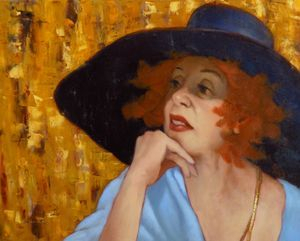 Deborah was chosed to succeed Wells as teacher for the plein-air workshops in England, France and Italy. 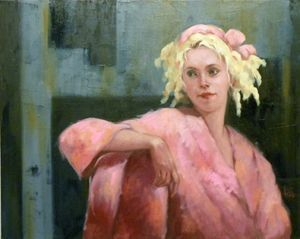 She started her studies of portraiture and figurative work with master artist Anthony Ryder in 2007 and continued an intensive study at the Ryder Studio in Santa Fe. 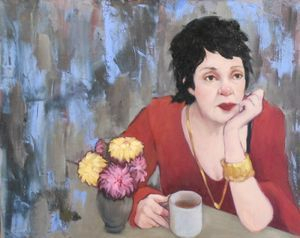 Throughout her career, Deborah has focused on drawing and painting in a classical representational style, working from life, sprinkled with forays into semi-abstraction from time to time. 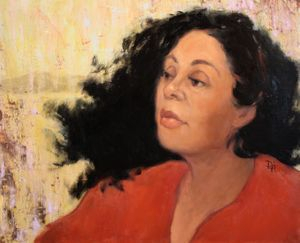 Recently, following a workshop with Milt Kobayashi, Deborah has been exploring and enjoying a more expressionistic style in her portraiture.